And After That What’s Next To Do? “Ho! Everyone who thirsts, come to the waters…” (Isaiah 55:1). Are you thirsty, or complacent and indifferent— so satisfied with your own experience that you want nothing more of God? Experience is a doorway, not a final goal. Beware of building your faith on experience, or your life will not ring true and will only sound the note of a critical spirit. Remember that you can never give another person what you have found, but you can cause him to have a desire for it. “…knock, and it will be opened to you” (Luke 11:9). “Draw near to God…” (James 4:8). Knock— the door is closed, and your heartbeat races as you knock. “Cleanse your hands…” (James 4:8). Knock a bit louder— you begin to find that you are dirty. “…purify your hearts…” (James 4:8). It is becoming even more personal— you are desperate and serious now— you will do anything. “Lament…” (James 4:9). Have you ever lamented, expressing your sorrow before God for the condition of your inner life? There is no thread of self-pity left, only the heart-rending difficulty and amazement which comes from seeing what kind of person you really are. “Humble yourselves…” (James 4:10). It is a humbling experience to knock at God’s door— you have to knock with the crucified thief. 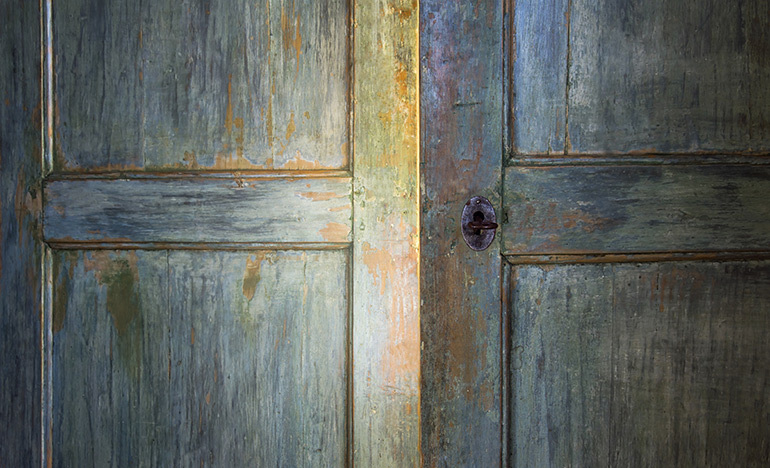 “…to him who knocks it will be opened” (Luke 11:10).